One of the best foods that fuel your brain! Ron Fessenden, MD, MPH, in his latest book “The New Honey Revolution” shared this secret with the whole world: Take honey just before sleep and you will feed the king of your organs: the brain. 1. The glucose found in the circulating blood. Our blood sugar. We all have about 5 liters of blood and 5 grams of sugar in it. But the brain is not the only organ consuming the blood sugar in our body. And even if it was only it taking it all, it will be enough for 1 hour, the most. 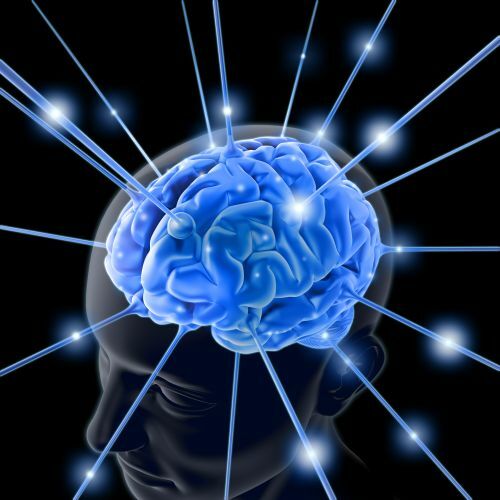 The brain burns amino acids from proteins and acid lactic, but these are in short supply in circulation. In extreme starvation situations, when liver glycogen and blood glucose are over, it can burn fats to survive. After this is over, it will enter a coma stage to protect itself. 2. The glycogen from our liver. The main fuel source. When we eat, the brain is fed as well. But the brain is an organ which doesn’t storage, so what is it going to do between meals, or during night sleep, or during physical exercises when the demands is growing? The liver is helping it. It produces glycogen that offers the necessary fuel. The liver makes glycogen from 2 ingredients which must be is an equal ratio. HONEY is a food that contains those two ingredients, fructose and glucose, in the perfect ratio 1:1. It is understandable then, why it produces more liver glycogen per gram than any other food. The liver makes glycogen and stores it. Its storage capacity is of about 75 grams. Of course it can be bigger for a bigger person. It goes somewhere between 60 and 110 grams. In the rest time, like during the night, the liver releases like 10 grams per hour, to the brain, red blood cells and kidneys. 6.5 grams go to the brain and 3.5 grams go the kidneys and red blood cells. The brain will last on this fuel between 6 to 8 hours, meaning our period of night sleep. It gets obvious then, that the moment we go to bed, our liver should have its storage full, so it can supply first the brain and then the others, with glycogen. There are foods, which despite being sweet, DO NOT RAISE the blood sugar, but are turned directly into glycogen, by our liver. Why? Because they contain fairly equal amounts of fructose and glucose, exactly what the liver needs to make glycogen. It takes them both, makes glycogen and there is no glucose left to raise the blood sugar. These amazing foods are: fruits, some vegetables and honey. Isn’t the food we eat enough for the brain? It is. At least during daytime. If we eat correctly, have two main meals and 2 snacks, varied, healthy and less processed. (But in our tumultuous daily life things are different.) The brain takes its liver glycogen from the food we eat. Lately so many diets are telling us not to eat in the evening. Or eat a salad, or a yogurt. Will our liver makes its 75 grams of glycogen out of a yogurt? Not even close! So what is it going to happen? The brain will get the message from the liver: no more glycogen. What does the brain do? Initiates a protective measure called “metabolic stress”. It will trigger the stress hormones, adrenalin and cortisol, which will wake us up and send us to eat. So we eat again. Night after night this will turn into what is called “chronic brain starvation“. Metabolic stress is not a disease. It’s a normal reaction of the body, that detects when something is wrong and reacts, so that the balance is achieved again. But if this repeats too often, for too much time, night after night, some real diseases will show up their ugly faces. Isn’t the brain sleeping at night, like the whole body? No. There are even some new studies telling us that the brain is more awake during nighttime, than it is during daytime. We go to sleep but our brain goes to work. It will need lots of energy to do that. So, what if we wake up in the night and eat a little? Is not only that we eat a little. The brain crying for help translates into this metabolic stress. During it, the adrenal glands will release stress hormones, adrenalin and cortisol, which will affect the entire body and wake us up to eat. When this metabolic stress is repeated too many times, it will affect almost every organ in our body. This leads to interrelated conditions affecting all our body, producing from sleep deprivation, fatigue, weight gain, to depression, glucose intolerance, type 2 diabetes, increased blood pressure, atherosclerosis, cardiovascular diseases, thyroid disease, neuropathy, Alzheimer’s and so on. The solution is simple and inexpensive. One or two tablespoons of honey just before bedtime. Try it with 1 tablespoon first and see how it works for you. For me it was too much. I weigh 60 kg. I took 1 tablespoon of blended honey and I fell asleep after 1 hour, and I was almost conscious during all my dreams. My brain was fueled all right! The next night I took only one teaspoon and it was perfect. Slept like a baby. 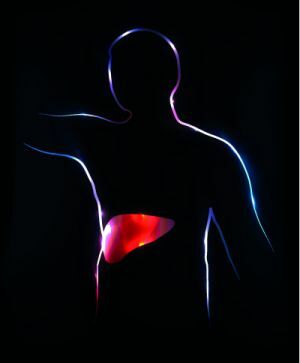 The liver capacity of storage depends on many things, including body weight, age, health etc. We must find our suitable amount of honey. What makes honey that good? Honey has fructose and glucose in an almost equal ratio of 1:1 (depends on the type of honey), the perfect way for our liver to turn it immediately into glycogen, our brain’s fuel. If the honey had only glucose, it would have gone into our blood, without liver intervention. A tablespoon of honey (21 g) contains about 7.5 grams of glucose and 8.6 grams of fructose. Just like in an apple. From these quantities will result almost 17 grams of glycogen, produced by our liver. Two tablespoons of honey will then make almost 34 grams of glycogen. Considering we had our dinner two or three hours before bedtime, our liver still has some glycogen storage enough for couple of hours, meaning it is half full. Supplementing it with another 35 grams of glycogen from 2 tablespoons of honey, would be enough to supply the brain, kidney and red blood cells for 7 or 8 hours of sleep. Aren’t other foods good for this? They are. But they also have side effects. Honey doesn’t. Other foods that contain fructose and glucose in an almost equal ratio, are fruits and some vegetables. Eating them right before bedtime it would mean to wake up the entire digestive system to process them in a time when it should just “rest”. Also, some vegetables contain starch, which is rapidly converted into glucose, raise the blood sugar, trigger release of insulin, makes glucose enter the muscle cells and thus not available for the brain. In a few hours the blood sugar level drops and again metabolic stress. Be careful! Too much of something good is still too much! It’s the golden rule again. Be balanced! Even if a food is that good, too much of it makes it not good at all. If we eat too much honey, the liver will convert the fructose and glucose into glycogen till it fills up its storage. The rest will have different roads. The liver is the only organ that can metabolize fructose. To get rid of the rest it will break it down into three-carbon molecules which will enter the fatty acids and be carried to fat cells for storage. Today many of our modern diseases like obesity, type 2 diabetes, high blood pressure are associated with a high level of fructose. The rest of the glucose will raise blood sugar, demanding lots of insulin, which will drive the glucose into the muscles and fat cells, where it will be stored as fat. Again. Our brain doesn’t sleep over night, like we do. It still needs energy which comes from liver glycogen. Honey is easily turned into glycogen and ensure the liver’s storage, so that it fuels the brain throughout the entire night. It will improve your sleep, your recovery physiology, eliminate or improve metabolic stress and all the potential diseases that may occur because of this. It is not claimed that “brain starvation” over night is the only factor that leads to metabolic stress. Genes are important, internal balance is important, emotional stress and overall life-style. But physically assuring that our brain has enough fuel over night, improves our body functionality and even cures dysfunctional systems. A content brain will be able to manage the other organs in peace. 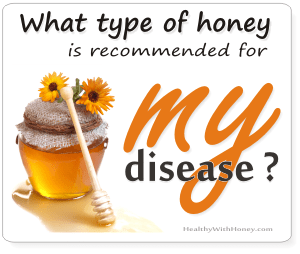 If you have any experience with eating honey before bedtime, do leave a comment here. 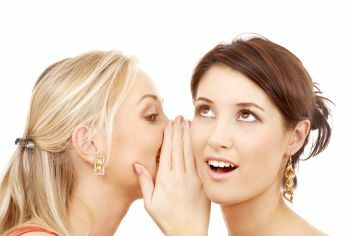 Also, don’t forget to spread the secret and we will help each other improve our overall health and spirit. Or, as Dr Fessenden says, be part of the Honey Revolution! Use the kindle version of this book and find out more details from the author himself: The New Honey Revolution: Restoring the Health of Future Generations . That is very hard to tell, because the need for glycogen depends on many factors. Usually we recommend 3 tablespoons of honey per day for an adult (70 kg bw). But if you do physical exercise or are under a lot of stress, if you are obese or older, things are different. Your needs for glycogen will be different and your liver will be or not be able to process and store glycogen as easy. Besides, we don’t know how much glycogen we still have in our liver to know how much honey we need. Here is why I said we don’t know for sure the exact need of glycogen. The liver converts both fructose and glucose into glycogen for storage within the liver cells until the storage capacity is met (usually about 75 grams). Glycogen is mainly needed for brain, red blood cells and kidneys, and for peripheral mass of tissue accumulated over the years. Some of the excess amounts of both sugars (especially fructose) is converted into fats and stored in the liver cells. The storage capacity is not a fix number. Scientists say it is between 75 and 200 g.
The need for glycogen is different for each person and depends on many factors such as: health condition, age, weight, rest vs activity, exercise, diet and others. 80 to 90 grams of glycogen at any given time are enough to sustain the brain, kidneys and red blood cells through eight hours or so of sleep or one hour of intense physical exercise. Age is also important. At 55 for example, the metabolic demands are increased by at least one-third over those at age 22, perhaps by as much as 50%. Alcohol use may also decrease the ability of his liver to process and store glucose. Weight is also very important. Fat stores are themselves colossal consumers of glucose, requiring increased amounts of energy just to maintain the hugely increased storage capacity. The liver needs to produce more glycogen just to maintain peripheral fat deposits. 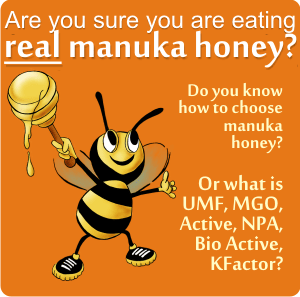 I use Manuka Honey 20+ and I give it to my kids first thing in the AM when they wake up. My son especially as he has coughs and gets sick more, 9 and 6. I read that on an empty tummy is the best. Also, if i give it to him in the PM as well will it be too much if he takes it 2x a day ? Or only give it twice when his cough goes away then maintain health just by 1 tsp a day ? and you say night is better ? Also, not sure if you know but I have read that Cod liver oil is very good for them as well and I have been giving to them 1 tsp daily here and there. My son has some issues with learning, hates school, not the easiest child (who knows maybe the vacine) that’s another topic, but sometimes I’m desperate as to how can I help him. I just want to keep them as healthy as possible. To boost immunity you don’t necessary need manuka honey, and definitely not 20+ – which is for infections, H. pylori and so on. UMF 20+ is for bad infected wounds, not for table food. 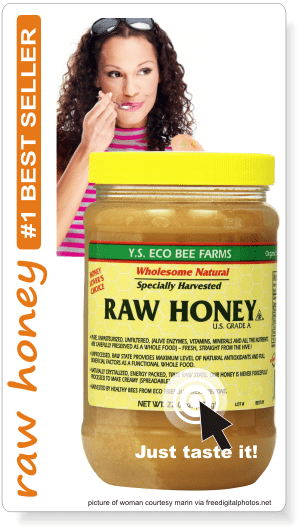 As supplement any type of raw honey will do, but the dark ones are more recommended. It is good to give it to him in the morning, yes. You could also give him a teaspoon before bedtime, especially as he coughs, it will improve his sleep. 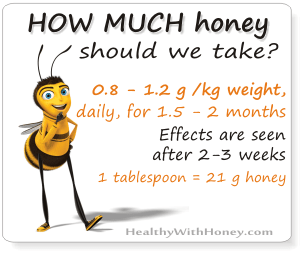 If you give him other type of honey, not manuka that strong, 1g/kg bw is the recommended dose per day. Like 3 teaspoons for a child. 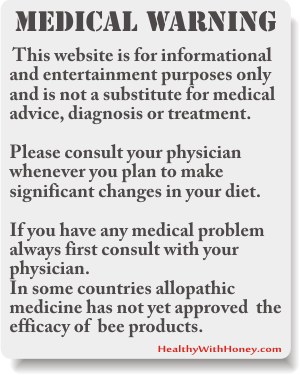 But for coughs propolis is also a wonderful choice. I am using it with my 7 yo, every time he gets a cold ans starts coughing. Here is one article about this, but there are many on this subject in this site: Propolis treats otorhinolaryngologic and respiratory diseases. Cod liver oil is very good for children, but given for all winter season and in the recommended dose. I used to give him some from Lysi (which is said to be the best producer), here is on Amazon, though the price shocked me here, it is way cheaper in my country. Anyway, I gave him 10 ml /day from that oil. This year I only gave him Vitamin D3 supplement, 500 IU, and it went fine. You know D3 is extremely important to children. And women, too. But now summer is here, and there is no need for supplementation. I try to keep him in the sun for at least 1 hour per day. Will it work with milk also. A very good article. I use to take raw honey with milk at bed time. Will it work or should only honey be taken at bed time. It depends on your goals. If you want only a better sleep, honey alone has given very good results. A warm glass of milk with honey will also warm the body and smooth your throat. The 2 combined have a special power, especially against cough. Combinations with honey are really effective. Please read Take your medicine with honey. It will enhance its power! So, yes, it works alone and with milk. This is an interesting article, which I have been curious about from some other articles I read recently. It has sparked my interest so much so, due to my mothers issues with her memory, I have ordered lavender, sage, chamomile, thyme, and echinacea seeds to plant on her farm for the honey bees to feed from. Roughy 800,000 in total, I expect some to not come up. My curiosity is possibly the bees feeding on the nectar and pollen from these plants may aide in some improved brain function and/or development of components such as neurotransmitters. If not, we will have some tasty honey regardless. You are right, if bees feed from medicinal plants, they will provide medicinal honey. In fact it is exactly the case of Lifemel, and Revamil – both medical grade honeys, made in controlled environments and from specific plants. I love the article, very informative and i’ll do exactly that because i think i’ve been starving my brain. Personally I have noticed I even have more vivid dreams. And I like this. Damir, a spoon of honey is perfect in the morning and perfect in the evening. In the morning will give you energy and balanced nutrients for a healthy feeling during the daytime, and in the evening will feed your brain and ensure you have a good uninterrupted sleep. On the left side of this page, you can find an image telling the appropiate quantities of honey, that we should take for therapeutic purposes. My pleasure. To say the least. I’m truly passionate about honey. I purchased the books and started doing the night routine. I have found that depending on how much I’ve done during the day, anywheres, so far, from one tsp to one TBSP will do me and will sleep well. If I awake mid morning, I get up and down another one tsp and sleep some more. I’ve only been doing this now for some two weeks, give or take, so the jury is still out. Love it so far!!! Great! I love that you decided to give it a try, in fact there is no harm in eating some honey before sleep, right? Having a satisfied brain during sleep is essential, because The Brain is The Boss, the coordinator of all that happens during sleep. Stabilizing the blood sugar levels, honey contributes to the release of melatonin, the hormone required for recovery and rebuilding the body tissues during rest. This is one thing that our scientists discovered, but there is so much more that they haven’t yet deciphered. Maybe in time they will. Meanwhile, we should just enjoy the benefits and taste! Don’t stop, and I hope after half a year you will come back here saying how great you are! Hi Norleila, you have found some wonderful words: “the fuel of a vehicle”. 🙂 And yes, we should all be aware of how good it is for us all. I have heard this before and started taking honey at bedtime. I didn’t know the reasons and the whole technicality behind it. Thanks for the clear outline. And I thank you for your visit. Please remember to use raw honey. If you use that liquid, fake honey we have in our supermarkets it will not work at all. I didn’t know about the part where the brain sleeps at night. I do know that I wake up at some mornings feeling really brain dead and I haven’t even started my day yet. With all my recent writing, I am feeling more mentally tired than ever. I hope this honey-remedy for the brain (with some cinnamon, maybe) will do me some good. Thanks for the great tip, Laura. At 6’4″ I weigh twice your weight, so i’ll kick off by trialing one whole tablespoon and see how that goes. Thank you – I look forward to your next post. I used to drink honey in the morning. Will try to take 1 tablespoon of honey before bedtime today. I’m ready to feed my brain! Yes, feed your brain and let us know how it worked for you. Honey is still banned for diabetics, because the scientists said that from the theory point of view it will only worse things. But these scientists could not detect and explain all components of honey and how they work together. Practice showed us that honey is actually helping diabetics, and now, there are doctors (like Ron Fessenden) trying to explain this for the rest of our scientific world. See more on my diabetics page. All changes start from somewhere, the same happened with all new things. The important thing is to keep an open mind. Hungry for honey that is! That’s a good thing! If we could only replace all sugar with honey, that would be perfect! Hmm… sudden thought… do you have an article about adding honey to coffee (instead of sugar)? I wish you great abundance! I took one tablespoon in the first night and it wasn’t that good. Half was perfect for me. Remember to get real raw honey. It’s important. That’s a really awesome read. I’m definitely going to have to start thinking about my over-night supply.